Another Clone Photo by © Jay Pfahl. 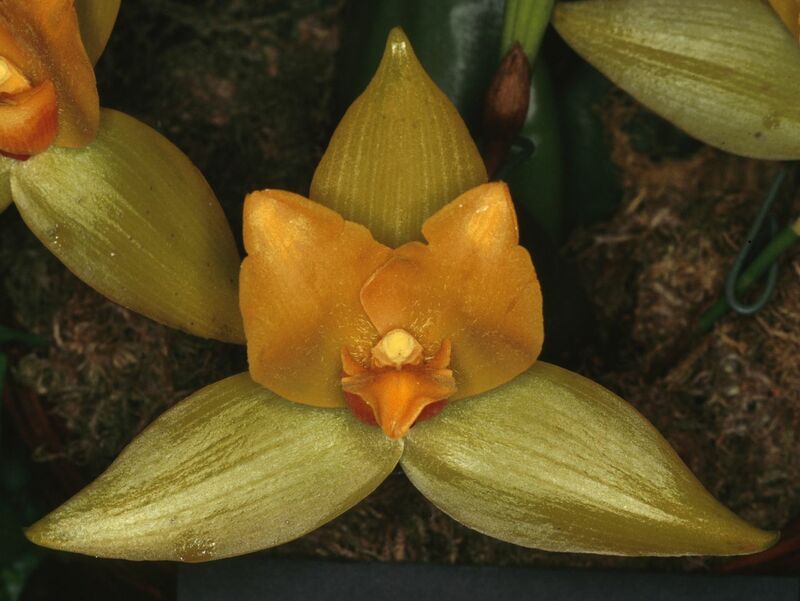 This medium sized, cool to cold growing species occurs in Mexico, Guatemala, Costa Rica and El Salvador as an epiphyte or lithophyte at elevations of 1800 to 2200 meters with large, ovoid-oblong, compressed, spined pseudobulbs enveloped basally by several imbricating, scarious, sheaths and carrying several, deciduous, elliptic-lanceolate to broadly elliptic, plicate, acute or acuminate leaves that blooms in the spring on a lateral, several at once, to 7" [17.5 cm] long, single flowered inflorescence with several inflated sheath bracts that has waxy, long-lasting, scented flowers and heavily spined psuedobulbs. 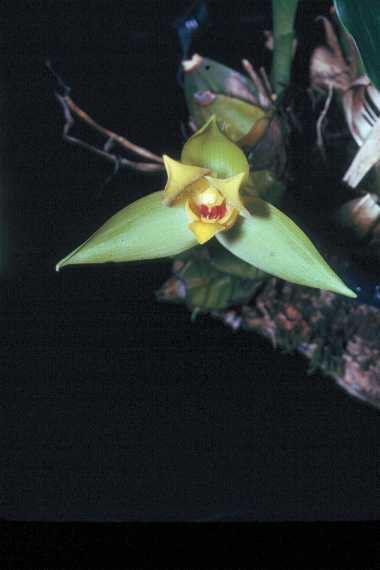 Chiapas Mx., 1890m elev., near Teopisco, epiphytic on large oak limbs, in open oak woods, very plentiful. 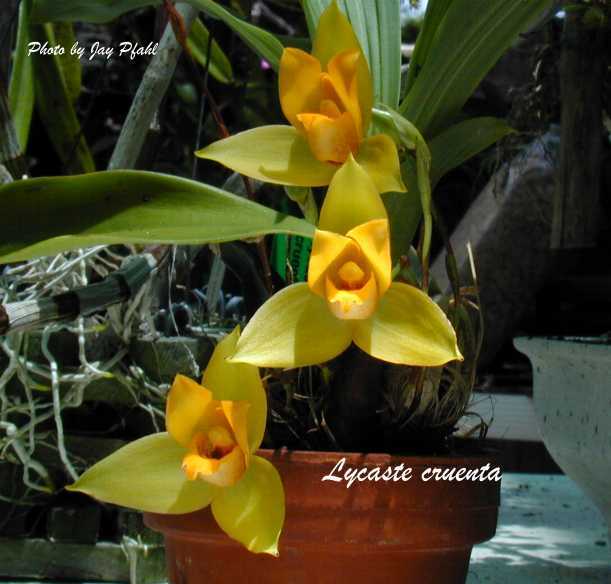 Lycaste cruenta Lindl. 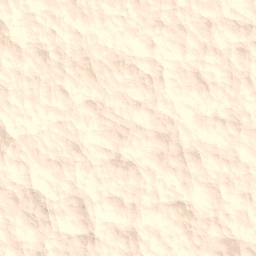 1843 var ? Photo courtesy of Noble Bashor.